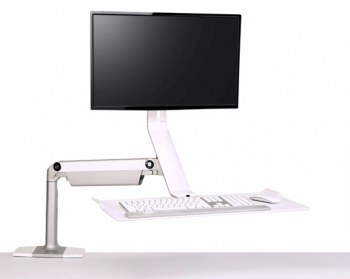 Humanscale's QuickStand Lite transforms any fixed-height desk into an active one. Its minimalist aesthetic complements any office environment and supports a variety of hardware. 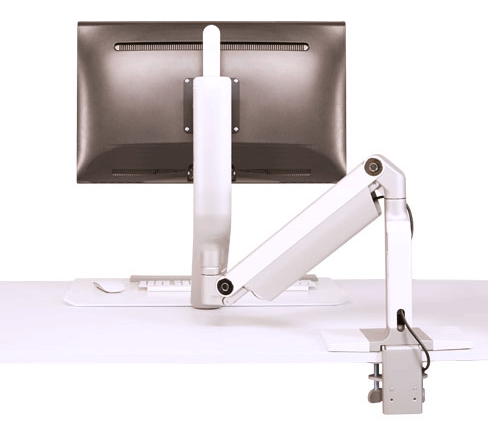 An adjustable keyboard and monitor arm platform provides exceptional stability while typing. 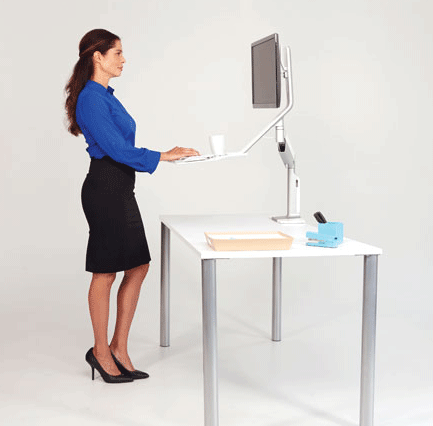 An innovative counterbalance mechanism enables users to transition from sitting to standing positions with ease and encourages more movement—creating a truly active workspace. 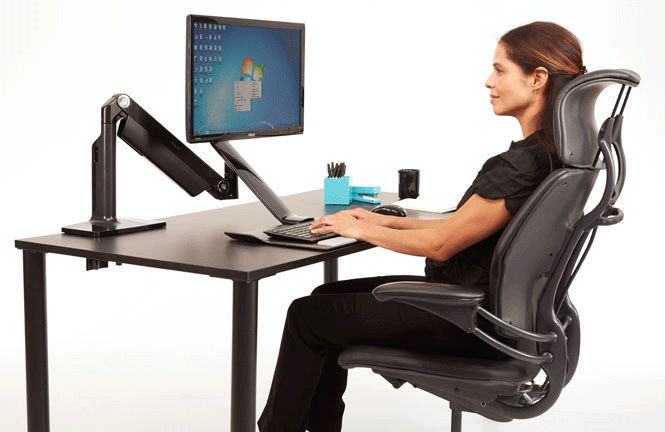 QuickStand Lite transforms any fixed-height desk into an active one. Its minimalist aesthetic complements any office environment and supports a variety of hardware. 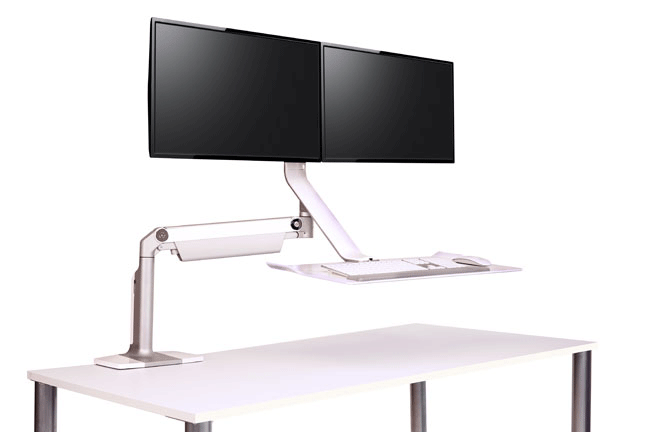 QuickStand Lite features an innovative counterbalance mechanism that enables users of varying heights to transition from sitting to standing positions with ease, offering 20” of total height range and an added 5.5” of vertical monitor adjustment. Its effortless functionality encourages users to be active throughout the day. 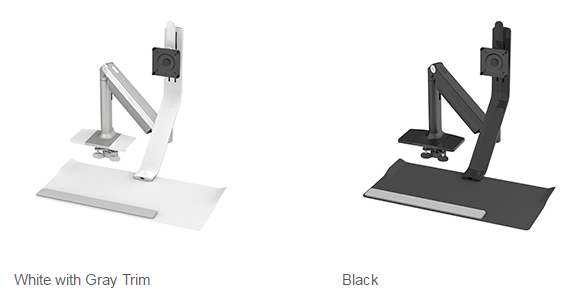 QuickStand Lite’s adjustable keyboard and monitor arm platform provides exceptional stability while typing. 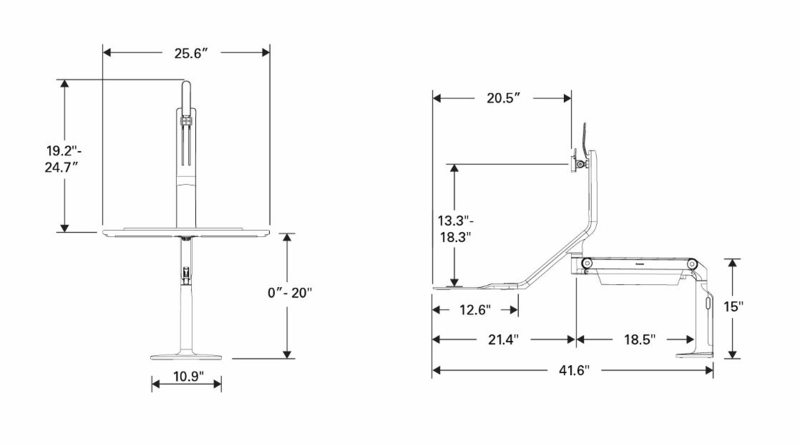 The main assembly holds single or dual monitors up to 25 lbs. and can be converted to either configuration with minimal tools and components. 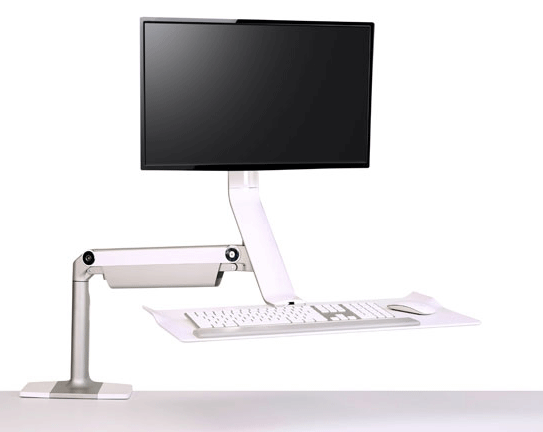 QuickStand Lite can be attached to any existing, fixed-height desk. Its minimal footprint frees up space, and its unique adjustability is perfect for home or corporate workspaces, temporary hot desks, collaborative workstations and check-in points.